Thomas A. Kernstock, D.D.S., P.C. Welcome to the practice of Dr. Thomas A. Kernstock, where we value our patient relationships, making it our priority to deliver gentle and compassionate care to your entire family. We strive to make you feel at ease by providing an exceptional patient experience in a relaxed atmosphere at a convenient location. We develop lifelong relationships with our patients by combining individualized treatment options with a professional and caring team. The result is a beautiful, healthy smile that will last a lifetime. As a new patient to our office, you can rest assured that we will be here for you whenever you need us. We have a reputation for excellence in dentistry, and our patients always receive focused, individualized attention throughout their time with us. We believe that patients should have sufficient information to make educated decisions about their oral health, treatment options in choosing a dentist. You'll find all of this important information on our website, including directions to our office, patient forms and patient education resources. To schedule or confirm an appointment please call (989) 893-4381 or confirm via your appointment text confirmation. We offer professional dentistry for everyone! From toddlers to seniors; our preventative, cosmetic and restorative techniques will help bring a smile to your face. Do you suffer from pain in the jaw, face, neck, or shoulders? You may suffer from a TMJ (temporomandibular joint) disorder. We offer professional options designed to make your smile sparkle and shine. Our team of oral healthcare professionals have genuine compassion for patients in pain, and we will snap into action to help relieve your discomfort as soon as possible. Dr. Thomas A. Kernstock is a lifelong resident of Bay City, Michigan and is pleased to serve the people of Bay City and its surrounding communities. He graduated from Saginaw Valley State University with a Bachelor of Science and from the University of Detroit Mercy School of Dentistry. Dr. Thomas A. Kernstock is now accepting new patients! Please call us at (989) 893-4381 or use the form to schedule an appointment. "I have been a patient of Dr. Kernstock's since I graduated high school and choose my own dentist. He is the sweetest most gentle and nicest guy. Not only is he a great guy and an awesome dentist but his staff is always helpful and caring and always wants what is best for the customer. Going to the dentist really is like seeing old friends once every 6 months. My son loves them also he has never been bummed when he has to go to the dentist. Always a good experience!!!!" 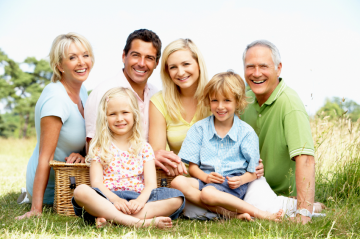 "Our family has been going to Dr. Kernstock for 35+ years. Best. Dentist. Ever. Gentle, caring, kind man; concerned & gifted at what he does. His staff are top notch and also great people. Hope he never retires! (Ha ha, sorry Dr. K!)" "I love how Dr. Kernstock explains what the tools he’s going to use feels like. It’s not a surprise that makes you feel uncomfortable and you feel informed and ready for what’s happening. He’s also so nice every time I go in to see him, absolutely recommend!" "Dr. Kernstock is THE BEST and most GENTLE dentist EVER!!!! Had a root canal today and was soooo scared!!! I did not feel one tiny bit of pain at all!!! He explains everything in his very calming voice and truly cares about his patients!! He also has a great staff in his office!!!" "I've been going hear for years I never had any problems. Dr. Kernstock is totally awesome he took such good care of me. My partial fits perfectly with barely any adjustments. Thank you!!" "Always excellent service and care. The assistants are quite thorough with the cleaning and always have helpful advice to help keep your teeth in good shape. Had a few procedures here including removing 4 wisdom teeth and everything the procedures went smoothly and I was offered multiple alternative treatment options going into it. Doctor Kernstock is knowledgeable and lean on the side of preventative care rather than going in and drilling away everytime."